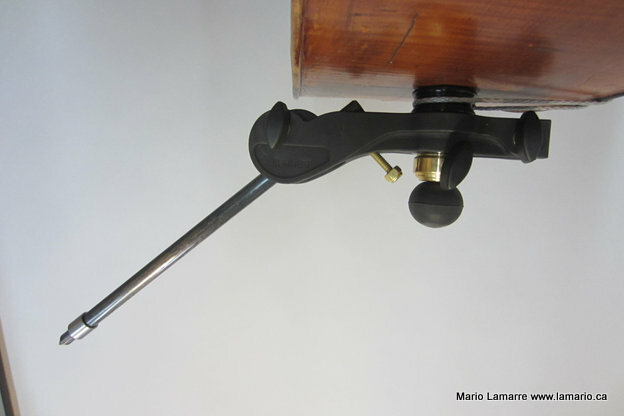 At first, the angled endpin was found by the great double bassist François Rabbath and the excellent luthier Christian Laborie research. The procedure is to drill an angled hole at 45° at the double bass bottom to insert a carbon endpin to facilitate the double bassists play with their instrument, which is a major advantage. 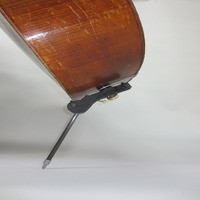 However, several musicians are not willing to alter their instrument because once the hole is done it’s difficult to go back if they don’t like it. That is what led me to develop a new endpin/angled Lammax system. It is removable and is fixed at this new endpin. 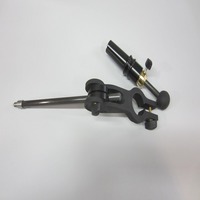 With the Lammax, the endpin rod is adjustable in height. The back angle is adjustable until an angle of 35° besides you could position it on different positions laterally on the endpin. The Lammax is very stable in the verticality; i.e. no swing with the double bass when musicians play. The two pieces are made from solid aluminium with anodized finish. 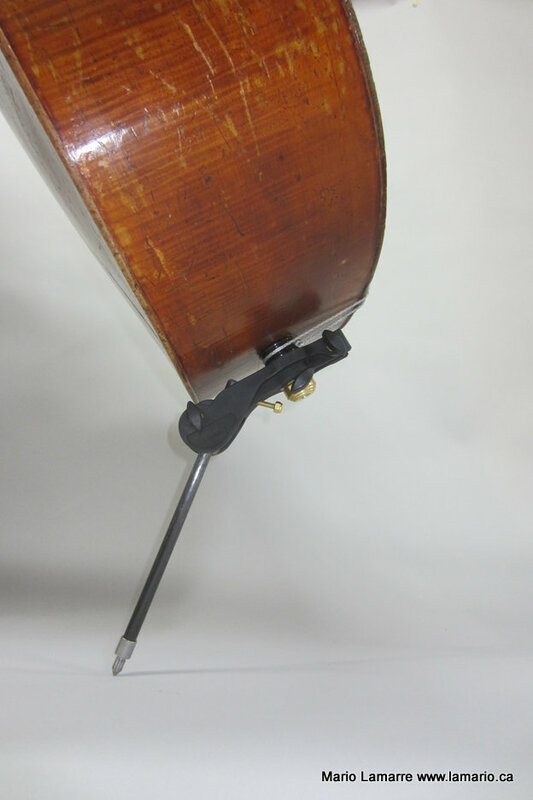 The advantage: the perfect adjustment within musician proportions, it removes tension in the neck, shoulders and back. Their instrument will be very comfortable to play. And more, they will improve the sound compared to the standard endpin and standard angled endpin.